Sleek MakeUP has been one of my favourite brands before I even got into blogging 2 and a bit years ago (does anyone remember that they were recruiting campus brand ambassadors?). 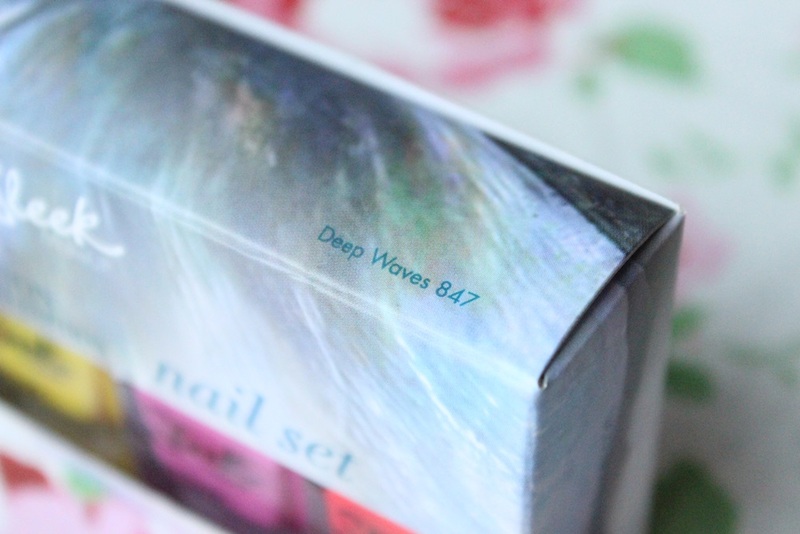 I always get excited when they come up with something new like this Deep Waves Nail Polish Set from their limited edition 3 piece Aqua Collection, which comprises an eyeshadow palette and a blush alongside of this nail polish quartette! Channel your inner sailor with nail set in deep waves! With oceanic themed shades that add a jolt of vibrancy in primary colours such as tropic, pink mirage, deep coral and Cote d’Azur. The set features miniature bottles, ideal for holidays and travelling to sea side resorts. As far as I know this is Sleek MakeUP‘s first venture into nail polishes with this Deep Waves Nail Polish Set and the colours they picked to branch into this side of the beauty world are so up my street. I love bright colours, regardless of the season, but these are of course perfect for the (hopefully coming soon) Spring/Summer season. 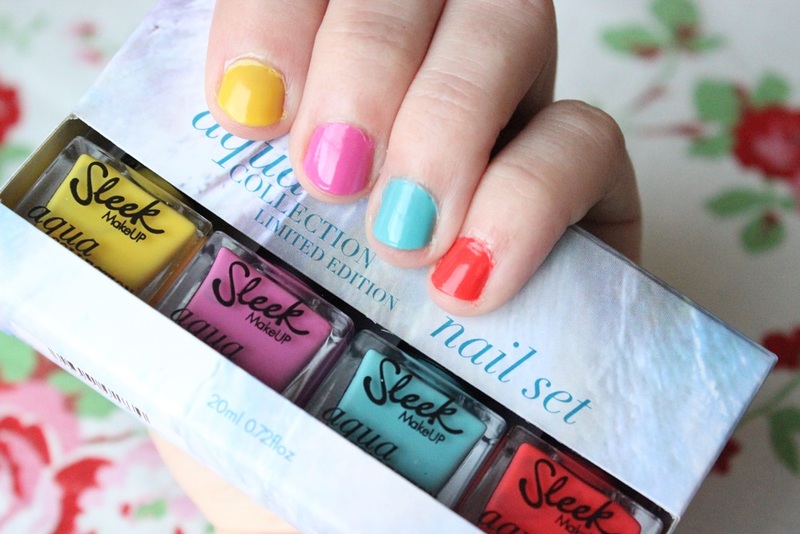 I absolutely adore the names of the polishes as well – they are so summery! And contrary to popular belief, clearly not everything about Spring/Summer needs to include shimmer. None of these Sleek MakeUP polishes have a shimmer effect, just pure gorgeous bold colour with a glossy finish. With just 2 coats the polishes appear properly opaque and I have to admit, I really didn’t expect they would dry as quickly as they did, especially without top coat. 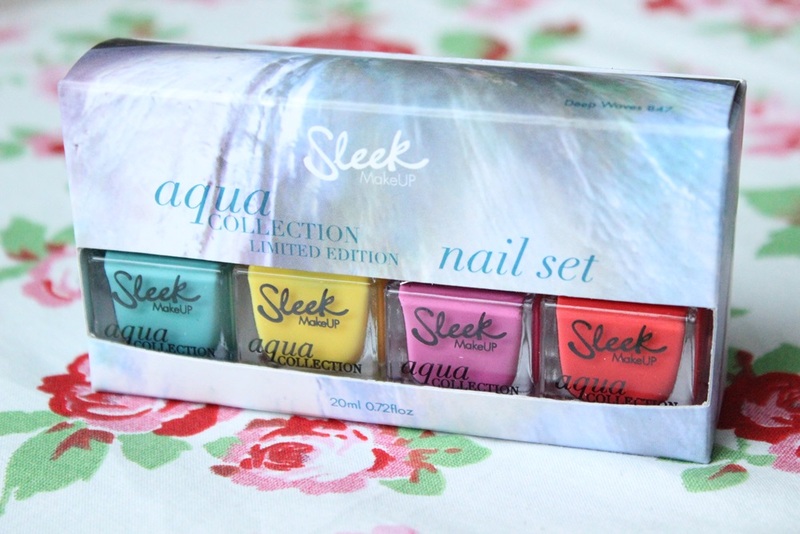 I gotta say, I’m really impressed by Sleek MakeUP’s first venture into the world of nail polishes! 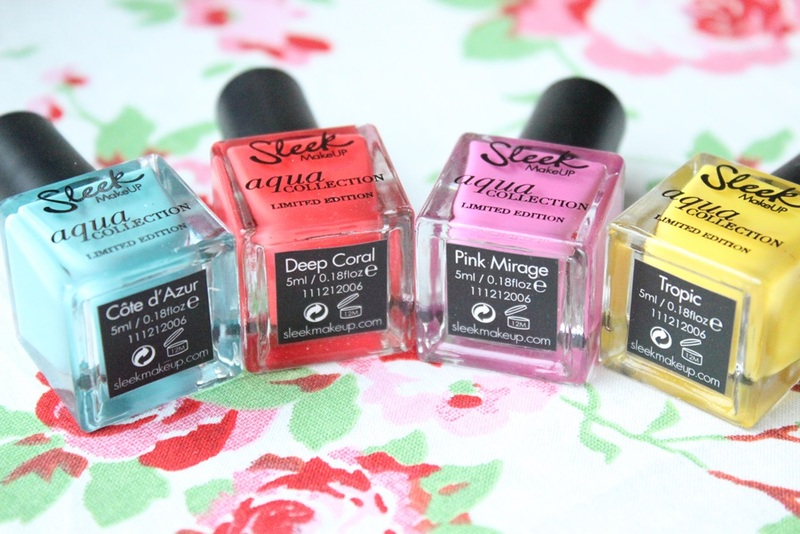 For £9.99 for a set of 4 5ml nail polishes, the price is more than fair for this excellent quality! Most miniature nail polishes come in smaller sizes (OPI Minis for example are 3.75ml). The set, alongside with the eyeshadow palette and the accompanying blusher will be available from March online of course as well as in Superdrug stores. I really love the packaging, the colours and sleek so I will purchase. love! i had no idea they have launched nail varnishes! I didn’t either until I got the press release! Wasn’t sure what to think of it until I tried them! Can’t wait for them to bring out more products! !